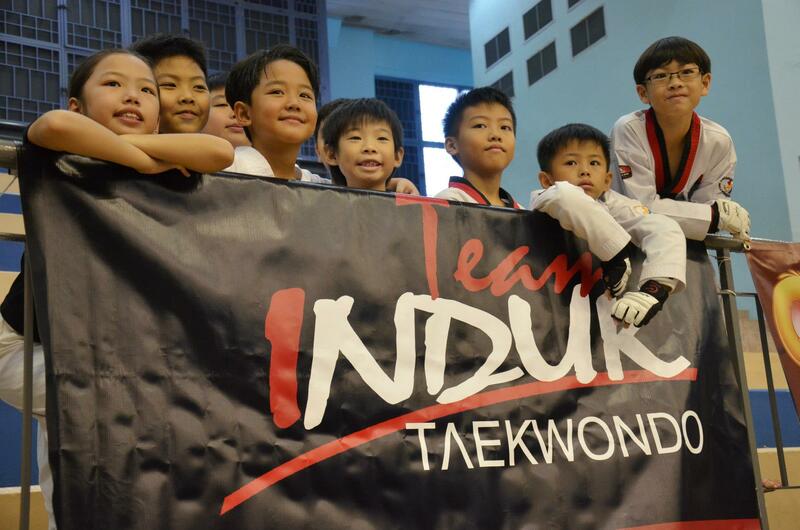 INDUK's young players fought hard and displayed great tenacity at the recent NESTLE Koko Krunch Junior Taekwondo Championship. It was a fun and exciting Sunday for everyone, as parents and players cheered and supported for their team mates and friends. Shanice, INDUK's lone female red belt partcipant, stood her ground against more experienced and higher belt players and returned with a bronze medal. Special mentioned also to Randall Lye who won INDUK's lone gold in the competition to qualify for the Koko Krunch Championship 2013 Finals in Kuala Lumpur in June. Click here for the action in the championship.